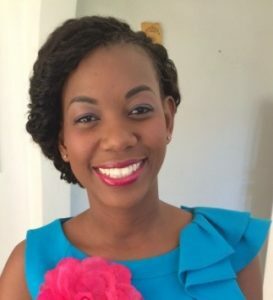 Ms. Zawadi Mageni has served as a researcher at the Ifakara Health Institute since June 2011, and currently an affiliate of the London School of Hygiene & Tropical Medicine (LSHTM), in the UK. She holds a Bachelor’s degree in Geography and Earth Science from Carthage College, U.S.A, and a Master’s degree in Infectious and Tropical Diseases from the LSHTM. Ms. Mageni was the recipient of a Certificate in Leadership from Carthage College, U.S.A: Character Quest. Currently she is enrolled as a PhD student at LSHTM, whereby she is focusing on malaria bed-net interventions. Ms Mageni is involved in two key projects at Ifakara Health Institute focusing on the useful life of bed-nets for malaria control in Tanzania: Attrition, Bioefficacy, Chemistry, Durability and Insecticide Resistance (ABCDR), and decoding perceptions, barriers and motivators to net care and repair in Tanzania. Her extensive research experience in the field is showcased through her publications specialising in the durability of net intervention programmes and modelling of vector transmissions and infection prevalence. Ms Mageni is the appointed Grants and Contracts officer at Ifakara Health Institute.